Ladies, remember this: beauty does not have an age restriction. But when you enter your 40s, your skin will go through some rather dramatic changes, most of which are related to the loss of collagen and elasticity. While these changes are inevitable and aging is completely natural – the main trick to aging gracefully is to embrace it. If you’re in your 40s, you can still maintain a youthful appearance with the right makeup choices and application techniques (besides investing in a good skin care routine, and maintaining a healthy diet and exercising regularly.) 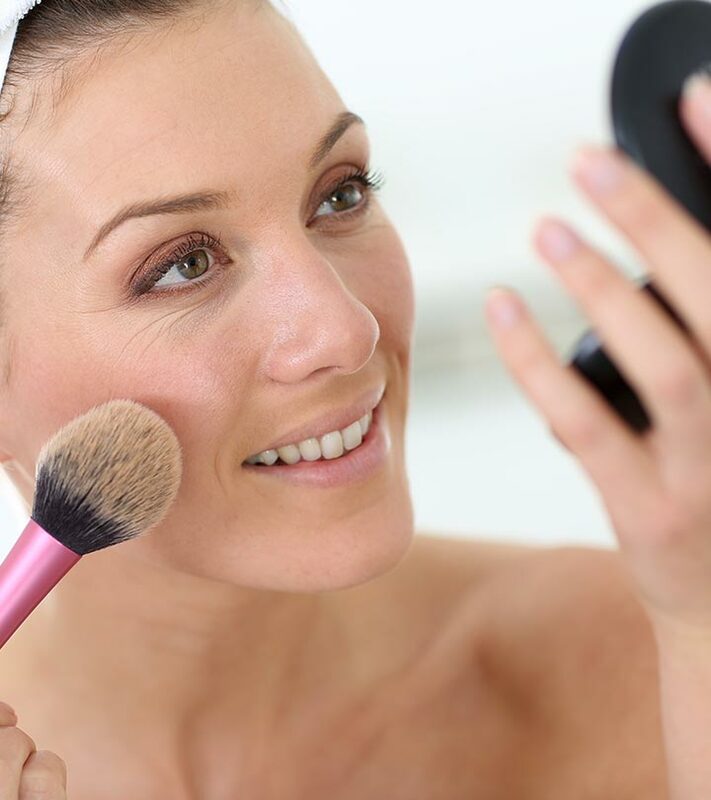 Read on to find out all you need to know about makeup for women over 40. 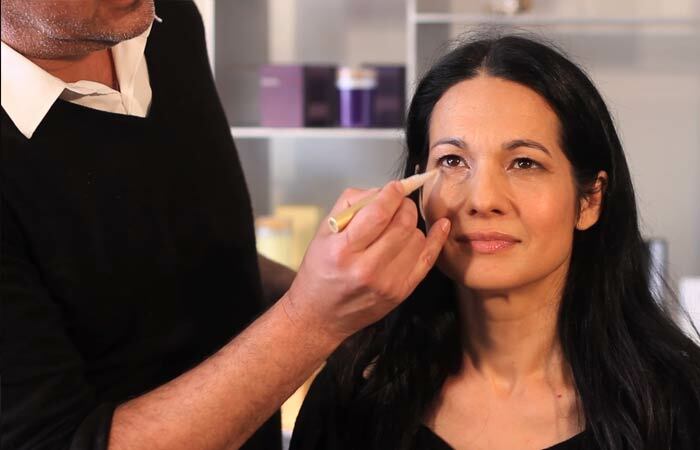 Once you’re in your 40s, it’s crucial to choose the right skin care regime and makeup. It’s a transitioning period for your body and skin, and it’s about time you switch up your beauty routine. These are a bunch of makeup products and tools that will help you enhance your features and look the best version of yourself. A primer does for your skin what lingerie does for your figure – it smoothens, conceals, flatters, and holds things in place, so that everything you put on top of it looks even better. 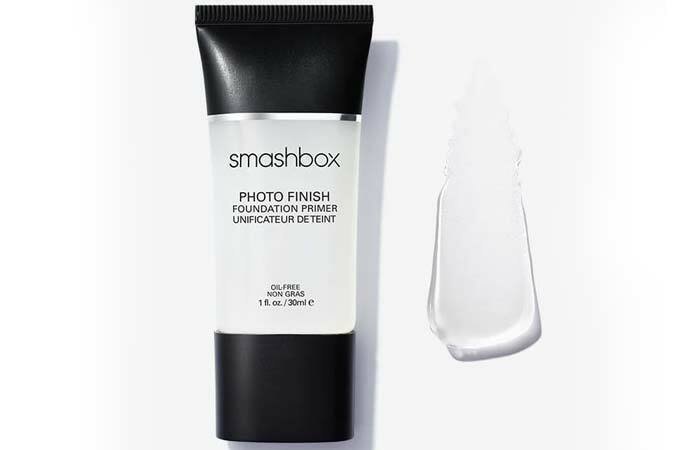 Whether you want to blur out the appearance of fine lines and wrinkles or minimize the appearance of pores or even out your skin tone, all you need is a good primer. Mature skin needs extra moisture and hydration to achieve a healthy-looking complexion. Make sure you prep your face before applying any makeup using either a hydrating primer or a balm – anything that soothes your skin. By doing so, you’ll have to use less makeup, and it’ll also blend far more seamlessly on well-hydrated skin. It’s essential to use the right foundation as we age – it can take years off your face. Never settle for a foundation that settles into your wrinkles and fine lines. 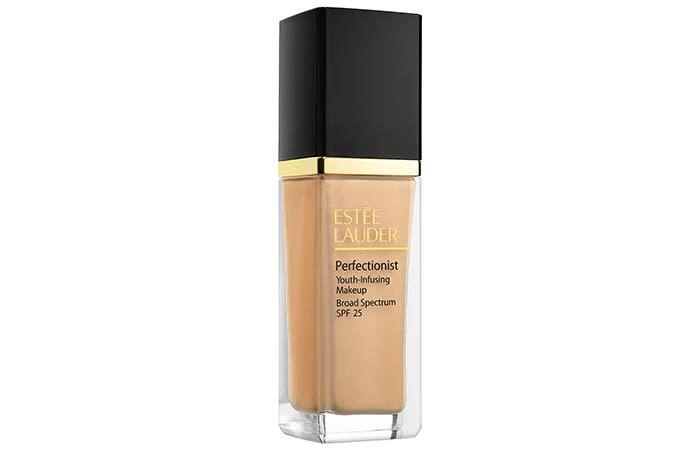 When it comes to mature skin, a foundation formula that is suitable for dry complexions and leaves skin even and supple without emphasizing fine lines is your holy grail. Learn to love a good luminous foundation for a lifting effect. If you’re worried about shine, simply powder your T-zone. Blending is key – it’s the main secret to a flawless-looking base because there are no harsh lines that you’re left with. Also, less is more, and we can’t stress upon this one enough. To keep your concealer from grabbing attention to wrinkles or crow’s feet, apply it only on the inner halves of your under-eye area to cover up the darkness. Blush is essential for your beauty routine. Want to know why? It instantly adds a radiant, healthy glow in one quick sweep. When it comes to wearing blush – ditch anything that’s too frosty. Peachy/pink shades are perfect for all skin tones and can be worn day or night. Even if you like to keep your makeup routine to a minimal, skipping blush will wash you out and make you look older. On the other hand, a gentle sweep will add a warm, healthy glow and make a huge difference. A common mistake lot of us make is applying blush too low on the cheeks. Begin applying the product at the height of the apple of your cheek and blend it upwards and back to define and lift your features. Add some highlighter to your cheekbones and the tip of your nose for some definition. As we age, our eyebrows tend to get sparse and lose their shape. It’s a fact that fuller, shaped brows give your face a more youthful look while giving it structure. Also, to make your eyes really stand out, you need to pay attention to those brows. A good eyebrow pomade or a pencil is the best thing to fill in gaps and make your sparse eyebrows appear fuller. First of all, put your tweezers away and invest in an eyebrow growth serum. Fill in your eyebrows with gentle hair-like strokes to fake naturally dense and balanced brows. Be careful to not overdo it with your eyebrow product and end up with cartoonish brows. The right eye makeup techniques can make you look younger and take off years from your face. If you always look tired no matter how much sleep you get, use a double-duty concealer – choose a shade with yellow undertones to conceal dark circles and highlight the area. When it comes to eyeshadow hues, go for warm, matte tones – mocha bases and peachy oranges will create the illusion of being well-rested. A good gel eyeliner, with a line that’s drawn as close to your lashes as possible, helps create the illusion of a thicker, darker lash line. Finally, curling your lashes and applying mascara will create definition and add depth to your eyes. 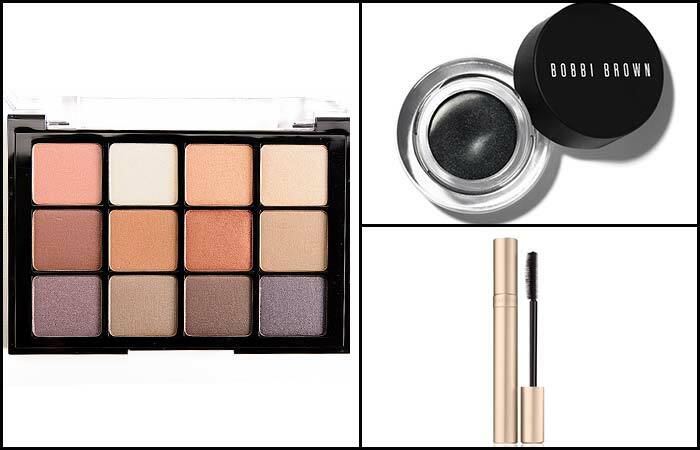 Stay away from shimmery eyeshadows and cool-toned browns and greys as these hues will make your eyes look tired. 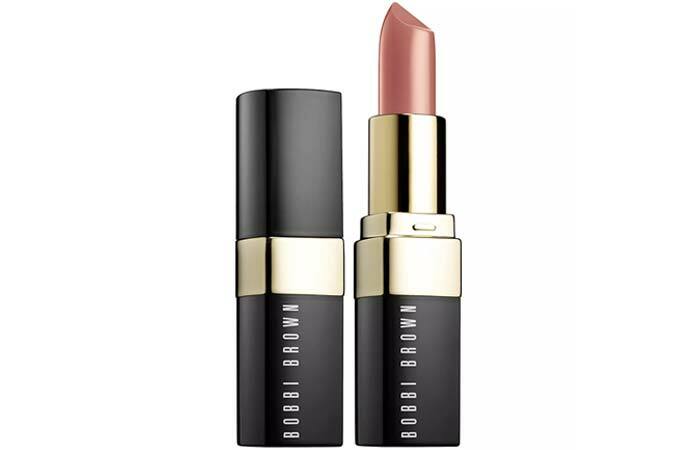 Lipstick is the best way to finish off just about any look. One swipe of color can add so much life to your face and make you look polished. As we age, we tend to get lines around the mouth area, and you need to adopt a different lipstick application technique. Exfoliate your lips well to get rid of all the dead skin, so you’re left with smooth lips. Hydrate your lips using a moisturizing lip balm and let the formula absorb into your lips. Wait it out and wipe away any excess lip balm using a towel or a wipe. You can add a tiny dab of concealer on your lips if they’re pigmented. Use a lip liner pencil that matches your chosen color to lightly fill the mouth shape to prevent your lipstick from bleeding. Apply your lipstick straight from its bullet in a single application. Don’t be afraid to try bold colors. Just because you’ve entered your 40s doesn’t mean you will need to stick to neutral shades. There’s a shade for everyone, and it all depends on your personal preferences. Now that you know what products you’ll need and how you can make the most of them, here’s a simple tutorial for an everyday look that you can pull off to enhance your best features. Moisturize your skin well with a hydrating, lightweight moisturizer. The Clinique Dramatically Different Moisturizing Gel is a wonderful option for a hydrating, non-greasy product. Add SPF to your routine for healthy skin and prime your face. 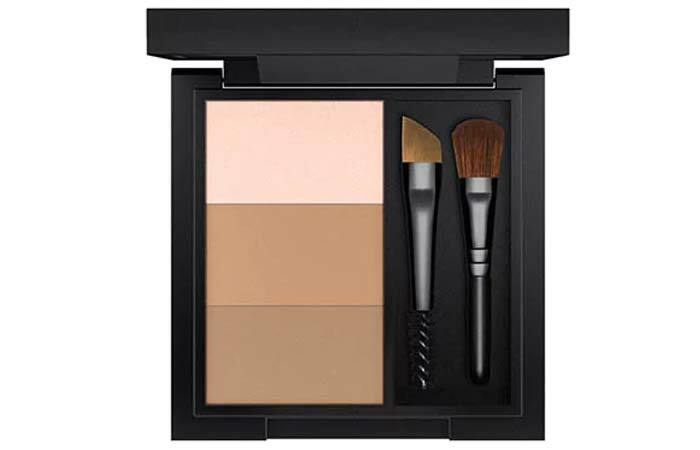 Use a brush or a beauty blender to apply your foundation formula. Blend it well until you don’t see any harsh lines or streaks for a flawless finish. 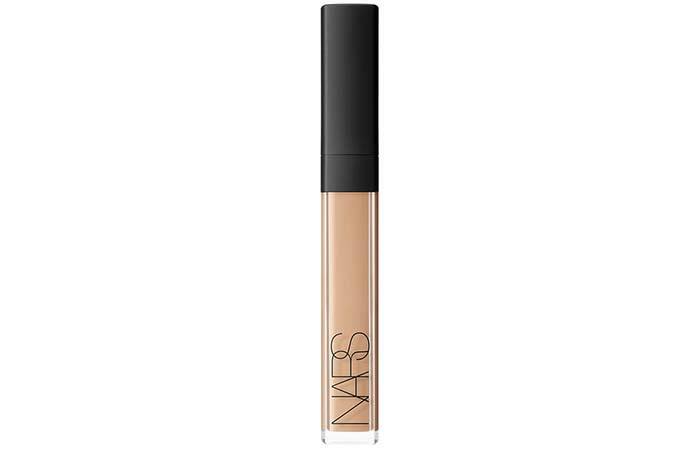 Use a luminizing concealer to cover dark circles. Focus on the inner corners since there’s more darkness in this area. Gently blend it with a blending sponge in the same motion you apply your eye cream – from the outer corner, working inward. Choose a neutral eyeshadow palette and apply the hues using a flat eyeshadow brush. Pull the color towards the outer corner of the eye to lift it. Also, add a transition color to the crease line to give more definition to your eyes. 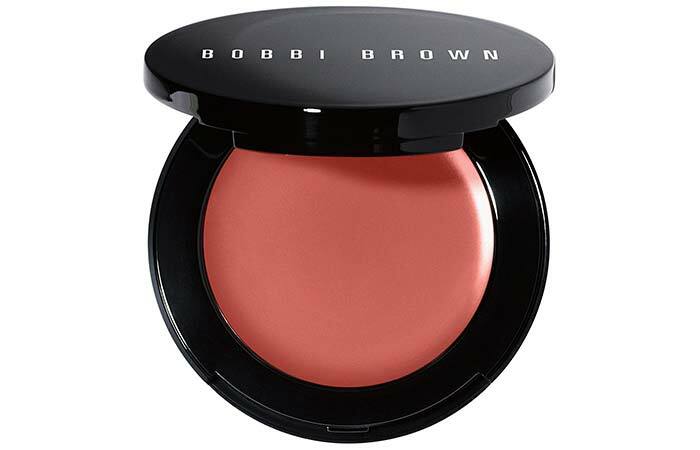 Use a peachy or pink-toned cream blush on the apples of your cheeks and blend it out well for a soft, dewy effect. Apply a soft, sheer lip gloss to finish the look. A little bit of makeup, applied using the right techniques, can help you turn back the clock. Remember – your skin is constantly changing and this means your beauty arsenal should also transform every few years. 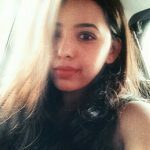 Besides that, it’s so important to live a healthy lifestyle and follow a nutritious diet to stay fit and also look younger. Do you have any personal favorite makeup tricks and techniques? Do let us know in the comments section below.